Dube’s Custom Street Machines specializes in building, restoring, and customizing show cars and bikes. Here is one example of how VisualCAM® fits into their custom production process. 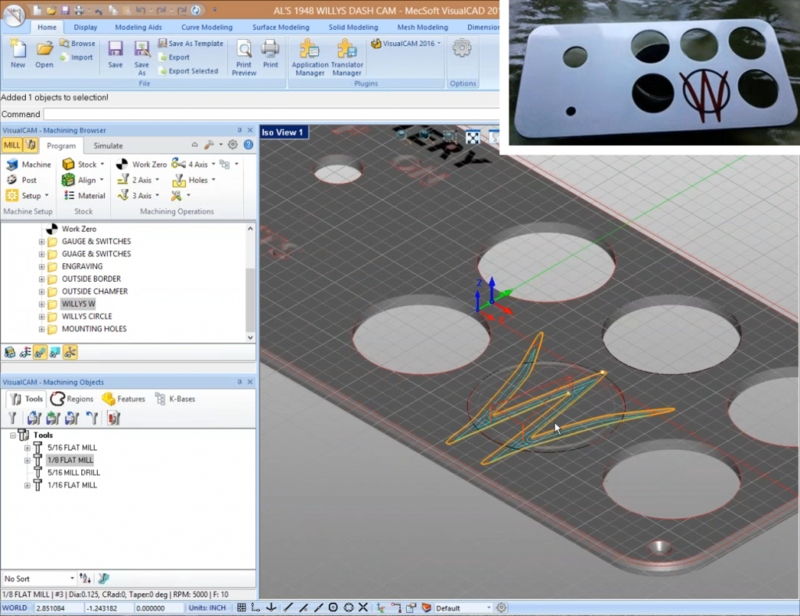 Using the 2½ Axis Pocketing toolpaths in VisualCAM® 2016, Dube’s machined the logo for the dash insert (shown below). The other 2½ axis toolpaths used Profiling, Engraving, Chamfering and Drilling. Check out the finished product in the video below. If you want to learn more on how VisualCAM® can work for you, contact us today or download a demo.